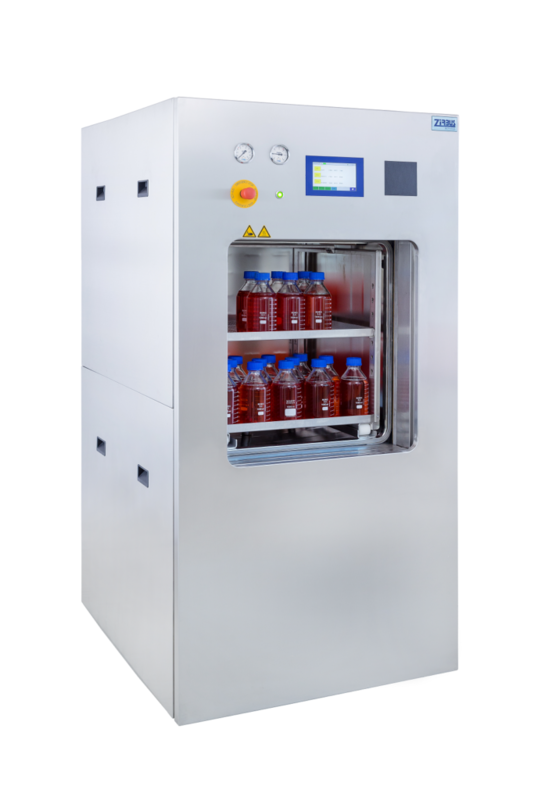 Our floor standing autoclaves are powerful, compact and economical for use in laboratories and pharmaceuticals. Due to the wide range of options they offer the right solution for every application. Compact units with square sterilization chamber and space-saving vertical door with fully automatic locking system. 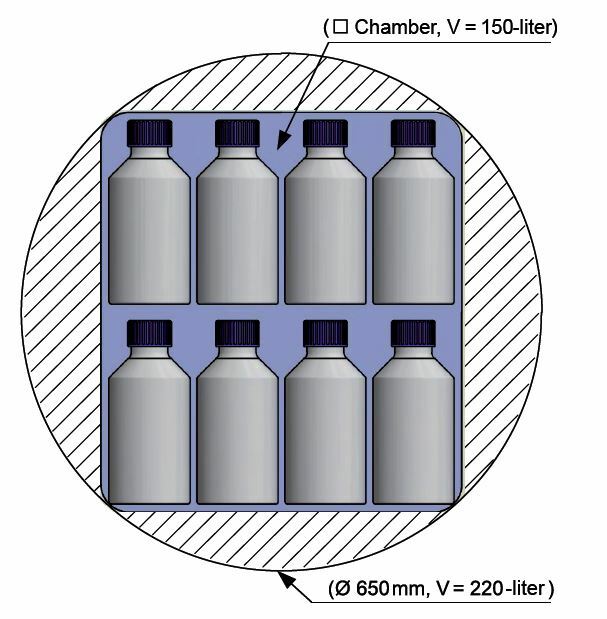 The rectangular chamber allows optimal use and a high loading capacity with small external dimensions. They provide an excellent ratio between usable space and space requirements. 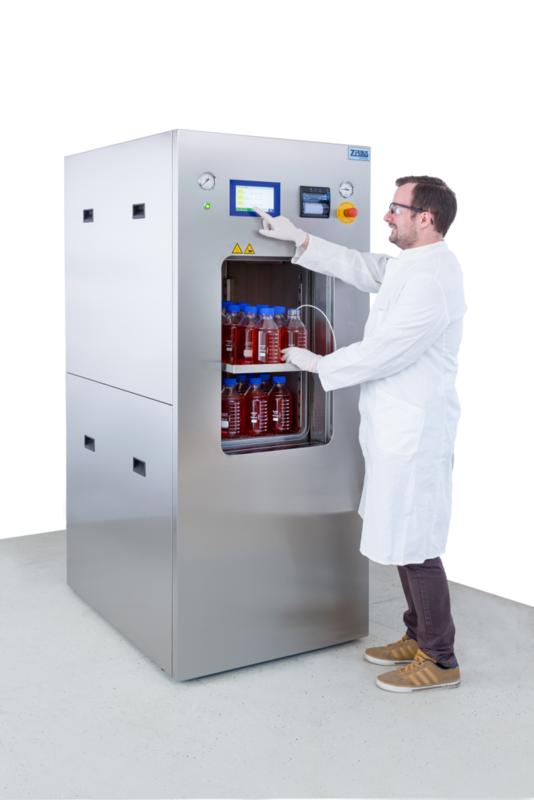 Nevertheless, they can be fully equipped with customer-oriented system solutions to complete their sterilization tasks quickly, safely and reliably. Fast water recooling via a large double jacket. In conjunction with the support pressure control via a sterile air filter, ensures the shortest possible recooling times for liquid media. Connection to a house supplied ring cooling system for water saving, the heat exchange takes place via a plate heat exchanger. Recirculation fan, further shortens the cooling time and offers the possibility of sterilisation in a steam-air mixture. Hot water sprinkler system (HWSS), for fast and gentle sterilization of liquids in closed vessels. 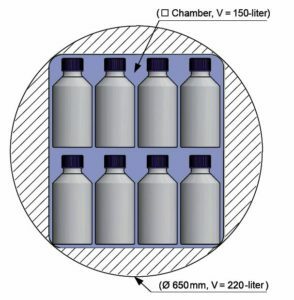 Spray cooling, for rapid cooling of liquids in closed vessels. Vacuum pump set with water saving device, for the safe evacuation of air from the sterile material by means of a single-stage or fractional prevacuum. Allows dry removal of the sterile material at the end of the process. Transport and charge trolley for ergonomic loading and unloading. Network-compatible digital charge recording and user management system in connection with Siemens WinCC FDA 21 CFR Part 11 compliant. 6-channel colour line recorder for control-independent batch documentation on 120mm wide plain paper. 10-channel screen recorder for FDA 21 CFR Part 11 compliant digital batch documentation, network-compatible. USB stick for storing up to 1,000 charges on an USB stick. The data can be read out on a PC for evaluation. 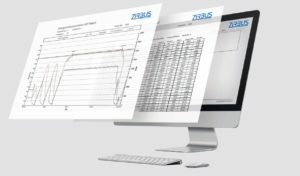 Documentation software “Sterilog” for direct documentation of the sterilization process on a PC. Communication takes place via an Ethernet interface.